It is always better to stick to genuine materials. And, of course, whether the piece is solid or not, is also of importance. Sure, it is impossible to find a media storage unit made of one solid wood piece; however, all functional parts (that is, doors, shelves, back) should be made of a single wood piece. If you go with an MDF model, make sure that the material is thick and durable. If the unit has glass inserts, choose in favor of tempered glass. It is as well important to pay your closest attention to how the piece is assembled – especially if it has drawers, which are generally the first ones to get damaged. Ideally, drawers should have a retarder system. It is not advisable to look for models that are too demanding in terms of interior decoration – that is, have unusual shape, bright colour, and so on. First of all, they are not always easy to integrate into the interior; and then, it is also difficult to find a proper replacement in case of damage. However, this does not mean that the unit should have no ‘kick’. Quite on the contrary, look for a model that features something special – a stylish insert, an eye-catching handle, etc. And, of course, it is simply unwise to throw thousands of pounds on a simple TV stand or other media storage unit. Anytime you shop for furniture, look for a balanced combination of quality and price. 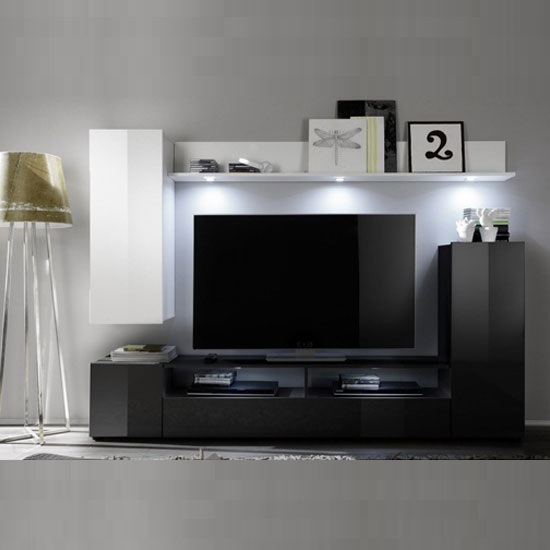 A very impressive selection of media storage units – contemporary, traditional, and even rustic – can be found in online stores. However, when you shop online, it might be a bit difficult to evaluate the quality of the piece before buying. Sure, TV stands and media storage units are not the most important objects in our homes; yet, this does not mean that the quality can be poor. Ideally, you should visit a showroom and evaluate the build personally. This, of course, means that you should stick to local platforms rather than international e-commerce stores. In the UK, one of the examples of a reliable local platform would be Furniture in Fashion . The company has been in the furniture market for years, and it has managed to establish a vast network of reputable furniture suppliers (the store works with manufacturers directly), as well as the database of regular customers. This fact, all by itself, should already be an indicator of platform reliability.